1. What is the Cargill Global Scholars Program? The Cargill Global Scholars Program is a distinctive scholarship opportunity that provides financial support in addition to leadership development opportunities through seminars, networking events, and a mentorship program. Through this scholarship program, Cargill wants to help nourish and build a network of future leaders who can develop new innovations and positively contribute to their communities. This program embodies Cargill’s commitment to improving living standards and promoting vibrant and stable communities around the globe. 6. Women and difable are strongly encouraged to apply. 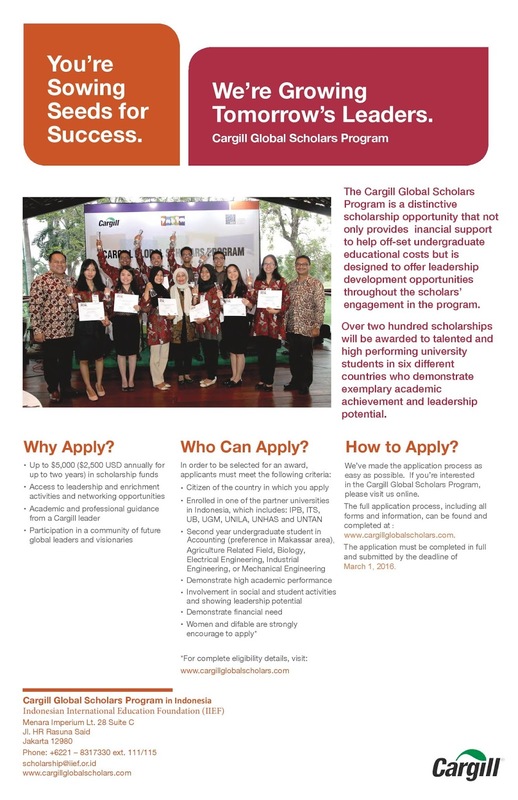 To access the application, visit http://www.cargillglobalscholars.com/applications. 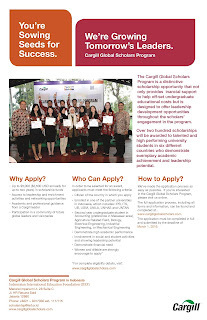 In order to get started with the application, you will first need to register online and create a log-in by following this link: http://www.cargillglobalscholars.com/applications/accounts/register/. 6. What document should I prepare for the application to be uploaded online? The online application must be completed in full and submitted by the deadline of March 1, 2016. 8. Where can I get the information? Selamat kepada penerima, daftar penerima tidak dapat diganggu gugat. Wajib isi data download disini dikumpulkan paling lambat Kamis,10 Desember 2015 diloket beasiswa. 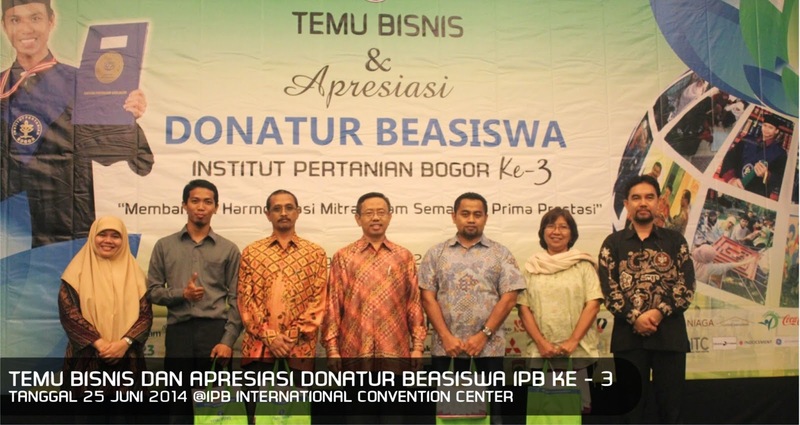 Selamat kepada penerima Beasiswa PT. Indocement Tunggal Prakarsa, tbk.